Overcrowding in Brazilian prisons and the high number of extrajudicial killings by police forces contribute to a cycle of violence in Brazil says group. SÃO PAULO, BRAZIL – The non-governmental group Human Rights Watch (HRW) stated in its latest Global Report that the overcrowding in Brazilian prisons and the high number of extrajudicial killings at the hands of Brazilian police forces contribute to a cycle of violence in Brazil. According to the report over sixty percent of men and thirty percent of women today in Brazilian prisons are there for drug-related offenses, photo by Marcelo Camargo/Agência Brasil. For the advocacy group, although advances in the human rights area have been seen, drug laws must be changed and security agents guilty of indiscriminate murders must be punished. 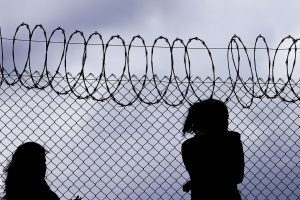 According to the report over sixty percent of men and thirty percent of women today in Brazilian prisons are there for drug-related offenses. “[Drug] laws increased penalties for trafficking and has left a lot of room for interpretation, leaving up to police the interpretation of who is a user and who is trafficker,” said the 687-page document about the Brazilian prison system. In addition to the high number of people imprisoned for drug offenses, HRW reported that temporary inmates also cause the enormous overcrowding and inhumane conditions in prison today. “Overcrowding and understaffing make it impossible for prison authorities to maintain control within many facilities, leaving detainees vulnerable to violence and gang activity,” says the report by HRW, which found that more than 622,000 adults are behind bars, 67 percent more than the prisons were built to hold, according to official data. As for extrajudicial killings by police, the group criticized the lack of more severe punishment given to those agents who kill arbitrarily. “When a police officer executes a criminal, a suspect to be a criminal, who knows that the police will kill or torture barbarically, he will not surrender peacefully and, at the earliest opportunity, will kill the police officer, whether on or off duty,” HRW Brazil director, Maria Laura Canineu, was quoted as saying by Agencia Brasil. Despite the criticisms, the human rights organization did acknowledge some advances made in the past few years in the country. Amongst the praised advances were the expansion of custody hearings programs to all state capitals and the Ministry of Justice’s implementation and consolidation of the mechanism to combat torture.